I was born with a congenital disability called femoral dysplasia and a floating hip of the left leg as well as scoliosis of the spine. I grew up on a NATO base in S.H.A.P.E (Casteau), Belgium but now reside back in Prestatyn, North Wales. 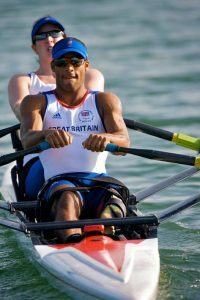 I’m an online training and nutrition coach by trade, but I was an elite Paralympic athlete for just over a decade. 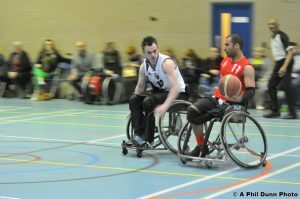 I’ve been lucky enough over those years to have represented Great Britain at countless World Championships and 2 Paralympics Games (Beijing 2008 and London 2012) to just name a few. 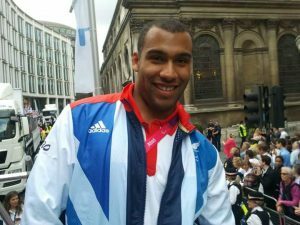 I started out my sporting career in swimming and was part of British Swimming’s Potential Squad from 2003-05. During that time, I held the SB8 200m breaststroke and 50m breaststroke national records. I made another transition of sport, this time to sitting volleyball. From 2010 until 2012, I amassed 56 caps for Great Britain. My first international was a surprise selection to compete at the 2010 World Championships in Edmund, Oklahoma, USA. 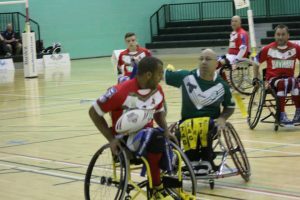 I was lucky enough that my time with the squad, to have competed for Great Britain at my only European Championships in my repertoire as well as a Continental and Intercontinental Cup. My career calumniated at the London 2012 Paralympics where the GB sitting volleyball squad lost in the quarter-final to eventual silver medallist Iran. You wouldn’t think I had these issues would you, as I come across as quite the confident person. However, I did. The 2 incidences that come to mind would be as a teenager and a young child. In all reality, I shouldn’t be able to walk due to the number of bones that I am missing in that leg, however, my parents never told me what the doctors had said to them when I was a young child. So growing up I was no different to any other able-bodied child albeit the physical differences. Yes, it probably did take me longer to learn to walk and with the aid of a walker, but I got there in the end. So now let me get to the first incidence where the issues of body imagery came up would have been when I was a young child, yes I know I was different – but where I struggled I think looking back would have to be able explaining my disability. The other incidence would have been as a teenager, where I would hide my disability by wearing long trousers in the warmer months of the year instead of shorts. But it hit me one day that the only person I was impacting on was myself. Yes, society has become obsessed to some degree with what others think of them, I too was probably a victim of that in my younger self. But what people should really be concerned with is what they think of themselves. Neither of those incidences occurs in my adult life, now I’ll be in shorts all the time weather dependent and I don’t mind people asking questions about my disability. You may or may not know that I have been struggling with issues around anxiety after a recent scare with my health. But through the help of the NHS through Healthy Prestatyn Iach / Healthy Rhuddlan Iach and through my workplace at Blessed Edward Jones High School as well as Denbighshire County Council I am getting better. Using such apps as Headspace to do daily and I mean every day to do my meditation to help with concentrating on my breathing and to get in touch with my thoughts and emotions. But also to be able to use their analogy “Seeing your thoughts and emotions as just passing traffic as you sit by the side of the road”. Being able to acknowledge when I am having an anxiety attack and being able to deal with it in a positive manner. Using such tactics as (learning relaxation; i.e pilates in my case, distraction and/or a combination of identifying and challenging worrying thoughts and replacing them with positive ones and finally probably the most difficult in my eyes, deliberately changing your behaviour and going back into difficult situations in a gradual step-by-step fashion). I don’t see myself as some fitness guru. I’m a coach, I’ve learnt more by listening to and working with people than working against them. I feel that’s the biggest reason those I’ve coached have had so much success, not just with their physique but with their mindset. Together we’ve worked it out, there’s been some ups and downs, but we’ve always got there. If you need some help figuring out where to start then feel free to get in touch. You won’t get any hard sells from me just honest, educational, real-life examples based on my own experience. 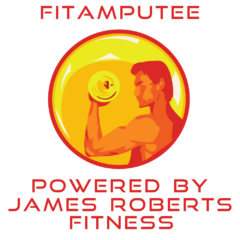 Connect with James in his Private, Free Facebook Group “Fit Amputee” or “The Mindset Athlete”.